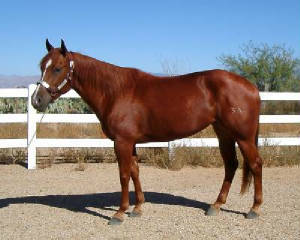 All mares are in foal (unless marked). Let me know if you are interested in the resulting foal. ...... I will be more then happy to answer any questions you might have. We are very proud of our mares. Each cross is choosen with great care to insure a good quality foal. 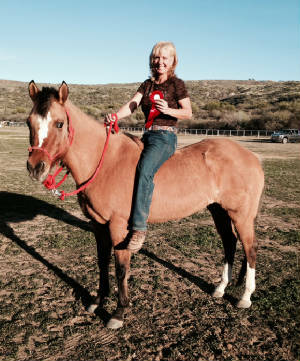 She does Reining, Ranch Sorting and Extreme Trail Courses. First 19 years of her life. When she first come to Arizona. April and I at Bumble Bee Ranch. 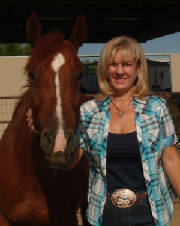 She is great at ETS, ACTHA, Trail Competitions. She is rock steady and I love her. and I am so fortunate that my cousin asked if I would take her. I trust her with anyone and she some through with everything I ask her to do. I am hopeful that she is not to old to get in foal to Jay. She rides quiet, slow and naturally low headed. "Way Cool" is Doc's Prescription and Top Sail Cody bred and she is Homozygous Black. 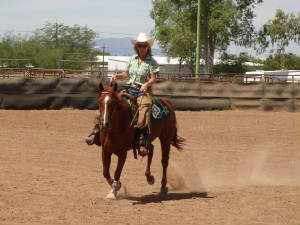 She has had a lot of reining training and rides like a dream. She is in foal for a 2015 grullo foal. Tyler in July 2011 as a 3 year old. Tyler working cow April 2011. Tyler at her first show May 2011. She got lots of blue and red ribbons!! "Tyler" is sweet and jet black. 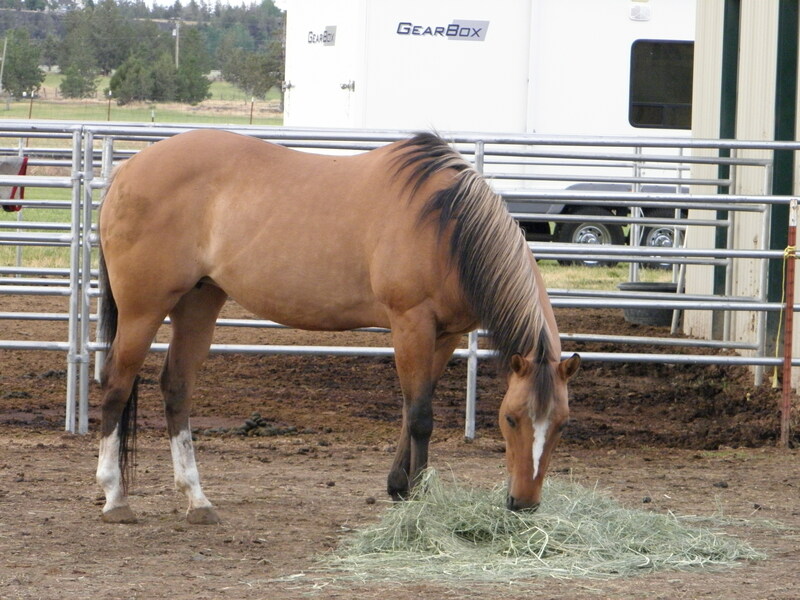 She is bred to be a cow horse with Smart Little Lena in her blood. 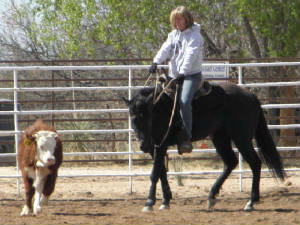 She has been started by Colter Moore for 30 days and rides like she has been under saddle for years. 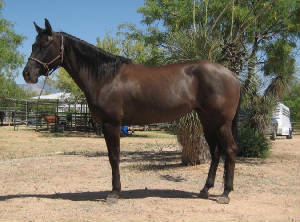 "Olive" is our new arrival and we have high hopes for her as a performance and breeding prospect. Her Dam is our mare Bonnie above. 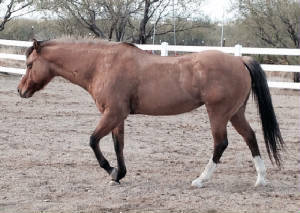 Olive's Sire is AQHA Perlino Stallion "Shiner Dun It", who is by a son of Hollywood Dun It and out of a daughter of Shining Spark. 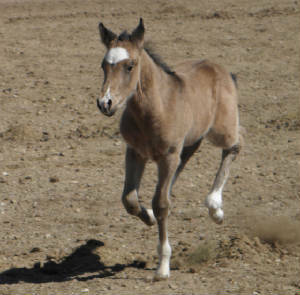 We hand picked this breeding and are very excitied that we got a FILLY! !